The state of California is highly regarded as one of the finest producers of Premium E-juices with a list of well-respected Companies supplying the world’s vaping community with a variety of high quality and diverse elixirs. Just a little over two years ago one man’s need for quitting traditional cigarettes due to health reasons, and a vision to encourage others to follow suit, has led to a line of E-juices that has gained a reputation across the States of America and Europe including that of England and France for great flavour, vapor and aroma at a very respectable price. Phillip Rocke supplies a selection of unique and differing flavours in six choices with an added Exclusive Grand Reserve E-juice, which has been steeped in re-claimed medium Brandy Barrels for two and a half months. To create this finely blended juice actual Arabica coffee was extracted in-house to add a sweet natural essence and flavour profile to it, with notes of natural Hazelnut and Coffee Cream to round it off. PG/VG amounts vary throughout this range depending on the makeup of each flavour. Gemini Vapor have informed me that the six juices reviewed here are VG heavy and All of the Gemini Vapors line including the *limited Grand Reserve “Crème De La Crème” are 100% Food Grade and Acetyl Propionyl, Diacetyl free ingredients. I have reviewed these juices over a period of two weeks on two different manufacturers VV/VW devices. These include the Innokin SVD 2.0 along with the 30w Joyetech eVic Supreme. I have also used a combination of three different tanks. The new KangerTech Sub Tank and RMT RBA, along with the Kayfun Lite RBA in varying combinations, using the ranges suggested in the chart supplied here for consistency, and on occasion at 25w in conjunction with the 30w Joyetech eVic Supreme. I believe that this will give both the retail supplier and consumer a fair and accurate assessment of the flavour and vapour production, as well as the throat hit this brand produces, which is important when considering stocking this range or purchasing them for your personal vaping pleasure. I also steeped them for one week before tasting, allowing the full flavour to come to the fore. If you intend to use this range of E-Liquids, please make sure they meet the current requirements set out by your countries regulatory bodies. For EU countries, more information on this can be found here along with REACH’s partner agencies from around the globe. E-Liquids may contain diacetyl (DA) and acetyl propionyl (AP) or other carcinogenic ingredients or disease-causing substances, so please be aware of this and seek medical advice before using any of the products used in my reviews. People can also suffer from allergies to chemicals that may be present in the makeup of certain types of E-liquids or produced in their vapour. People can become sensitive to, or even allergic to Nickel or Titanium used in Temperature Controlled designed coils. Again, please be aware of this and seek medical advice before using any of the products used in my reviews. Also, check with your E-liquid supplier or the equipment manufacturers directly before purchase and use. And never leave your device charging unattended, make sure you are using the recommended battery if one is required for your device, and always remember, SAFETY FIRST. It is fairly well known that certain e-liquid ingredients can cause cracking or even melting of polycarbonate plastic or acrylic tanks and tubes. For further information on this subject, please check with your E-juice supplier before purchase and use. All six juices arrived for review in a simple but very classy 15ml shrink wrapped transparent glass bottle, neatly designed and labelled. A glass pipette is included for dispensing the liquid. This is a helpful inclusion for both filling your tank and dripping your juices for those who prefer this method of vaping. The bottle contains a white band around it with an individual logo for each juice on the front with the name Phillip Rock situated lengthways just above it. Rotating the glass bottle to the right you will come across the Gemini logo in black running from the bottom to the top. Continuing in this direction you will see the nicotine value very clearly displayed inside the white band. Directly below this is the flag of the United States of America with the words Made In the USA and the amount of E-liquid held inside (15ml/30ml). Directly above this on the other side of the white band contains an Age and health warning, so please be sure to read this in full. Crafted and aged in small batches by, finishes just above the Phillip Rock name that I have mentioned. Shipping from Gemini Vapors arrived well on time for this review with all bottles securely packaged and no damage had been caused in their transatlantic journey from the US to London England. A well-matched pairing of sweet Melon and Coconut perfectly suited for those warm summer day’s when you need to feel refreshed providing you with a hint of melon on the inhale and a distinct aftertaste of coconut on the exhale. If you enjoy a dessert flavoured vaping experience, then Royalty will be a choice worth considering. It is a lightly flavoured buttered pecan banana nut bread with a distinctively creamy aftertaste of banana with a hint of pecan. What I liked about this combination was the choice of pecan as it has a very slight note of nut but not like other juices with a nut in them, like tobacco flavoured vapes for example. The pecan being classed as a Drupe (neither nut nor fruit) helps to minimise that overall woody, taste allowing for the banana to come to the fore. Enter the Dragon from Gemini Vapors is an awesome fruity juice. Described as “Strawberry Sweet Peach with a Fresh Kick” on their website, which is an accurate description of this flavour. The strawberry is a little candy-like whereas the Peach is fresh. Delicious ADV that I cannot put down! Another unusual combination of fruits Enter the Dragon combines strawberries with sweet peach to create a mouth watering sensation. Both fruits are present on both the in and exhale leaving a sweet candy flavour behind. A mellow vape of blueberry and tart combined. Blueberry is the most distinctive note with the twist of tart being more prominent on the inhale. A subtle, but none the less enjoyable and very attractive choice of flavours. My personal favourite in the range, this is one of the nicest apple flavoured elixirs I have come across so far. The website states that this is a sour green apple flavour, but it tastes sweet with a fresh bite to it rather than a bitter flavour for me personally. Whichever way you look at it this is a very good apple flavoured vape in my opinion! Described as a Cinnamon Toast Crunch with a hint of sweet Cream 100 Grand would make anyone very happy! A very enjoyable cereal vape with a note of cinnamon (just enough) added to round off the overall flavour. For those of you out there who enjoy this particular flavour, you will find it not quite so bland as some I have tried and leaves a surprisingly warm moist aftertaste. The Gemini range of E-juices is an excellent choice of uniquely blended flavours that you’ll enjoy vaping all day long. Each juice in the range has been carefully thought through and is very well balanced indeed. Each flavour is clearly represented without being overpowering and always leaves a slightly sweet but subtle taste in the palate of each of the juices in the range. Vapour production like the flavours is light but plentiful leaving behind a subtle but noticeable aroma. The design of the glass bottles is a pleasant change from the standard styles you see, making access to the liquid inside just that bit easier. None of the juices in this range is in anyway heavy quite the opposite in fact. Throat hit is present in the 12mg sent for review and although I prefer to vape personally at 16mg by increasing the output of the two VV/VW devices made up for throat hit that I would typically experience when vaping a 16mg E-juice. Pricing is a little under what I would have expected from the quality and presentation of this line of E-Liquids supplied by Gemini Vapors, so if you can find a flavour that suits your personal tastes, or are looking for something just that little bit different from the norm then be sure to give this line a try. This range is in my opinion reserved for the connoisseurs who have chosen to vape in order to quit traditional cigarette rather than the cloud chasing enthusiasts out there. For further details on this range of E-Liquids please use the contact information provided below. All rights reserved. No part of this publication may be reproduced, distributed, or transmitted in any form or by any means, including photocopying, recording, or other electronic or mechanical methods, without the prior written permission of the publisher, except in the case of brief quotations embodied in critical reviews and certain other non commercial uses permitted by copyright law. For permission requests, write to the publisher addressed “Attention: Permissions Coordinator. I love it whenever people come together and share ideas. Hi to every body, it’s my first pay a visit of this webpage; this web site consists of awesome and truly fine data in favor of readers. After exploring a number of the blog articles on your web page, I really like your technique of writing a blog. I saved as a favorite it to my bookmark webpage list and will be checking back in the near future. Please visit my web site as well and let me know your opinion. you’re really a good webmaster. The site loading pace is incredible. It kind of feels that you’re doing any unique trick. Moreover, The contents are masterpiece. you have done a excellent task in this matter! Good blog you have got here.. It’s hard to find high quality writing like yours nowadays. Hi my friend! I wish to say that this article is awesome, nice written and come with approximately all important infos. read a great deal more, Please do keep up the awesome job. Your method of describing everything in this paragraph is in fact fastidious, every one be capable of without difficulty understand it, Thanks a lot. Keep up the amazing works guys I’ve included you guys to my personal blogroll. Awesome! Its in fact awesome piece of writing, I have got much clear idea on the topic of from this piece of writing. explorer, would test this? IE still is the marketplace leader and a good component of other folks will miss your fantastic writing due to this problem. Nice read, I just passed this onto a friend who was doing some research on that. And he actually bought me lunch since I found it for him smile Thus let me rephrase that: Thanks for lunch! Greate post. Keep posting such kind of info on your blog. Im really impressed by your blog. Hey there, You have done an excellent job. I’ll certainly digg it and in my opinion suggest to my friends. Excellent review. Just ordered a couple Phillip rocke boxes from drip club. One with grand reserve, VTR, and strawberry shortcake ice cream bar. The other comes with enter the dragon, 100 grand, VTR and strawberry shortcake ice cream bar. 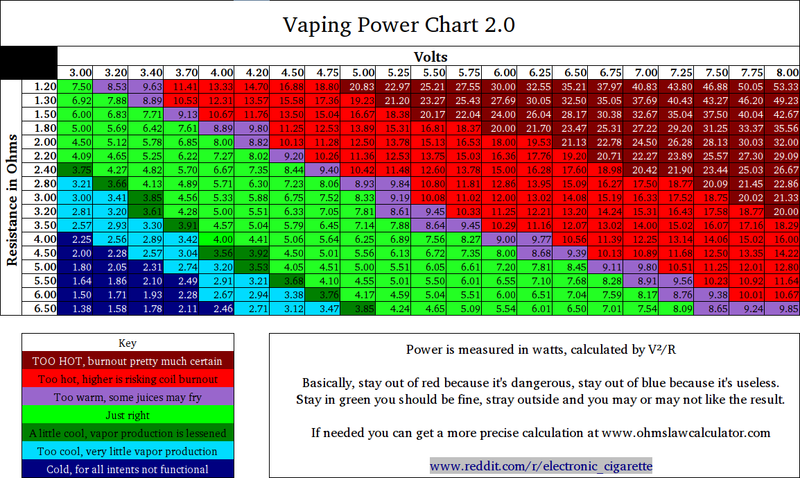 By the way dude you vape at 16mg! Damn Holmes when you wrote this in 2014 I bet your not vaping that in 2016 with all the sub ohm tanks out there. 6mg or lower dude! Hi Conner, I’m pleased the review was helpful to you and you are enjoying the flavours!